Raised in the farm worker movement founded by his grandfather, Cesar Chavez, Andres Chavez, 23, grew up participating in movement activities, among them marches, rallies, picket lines, demonstrations, union conventions and political campaigns, including those for immigration reform. The youngest son of Socorro and Paul Chavez, Cesar Chavez’s middle son, Andres grew up at La Paz in the Tehachapi mountain town of Keene, California, where the Cesar E. Chavez National Monument is now located. His childhood was spent greeting visitors and guests who came to visit, taking them on tours and sharing with them the history of his grandfather. Andres graduated from California State University, Bakersfield in 2016, with a B.A. degree in Public Policy and Administration. Andres was active in student life and in the community during his college years. On campus he helped organize alternative spring break programs, an immigration rights rally, and the first ever Hispanic Heritage month observances. In the community, he served as Vice President of the Young Progressive Coalition of Central California, where he was influential in hosting a Rock the Vote-style concert and opening a community garden in an underserved neighborhood. He did all while working full-time for the Cesar Chavez Foundation as a Curriculum Specialist, writing curriculum for its Si Se Puede Learning Centers, after-school academic tutoring and character education programs for children of residents at 42 of the foundation’s affordable housing communities in four states. Upon completing his undergraduate studies he served as Political Director for Emilio J. Huerta’s Central Valley campaign in California’s 21st Congressional District. Andres then played a key role in developing and establishing the High School Equivalency Program (HEP) at California State University, Sacramento, a federally funded program assisting farm workers without high school diplomas attain their GED. Andres most recently worked with the California State Fair and Exposition, the state agency responsible for showcasing the best of California. He aided its legislative outreach and lobbying efforts. 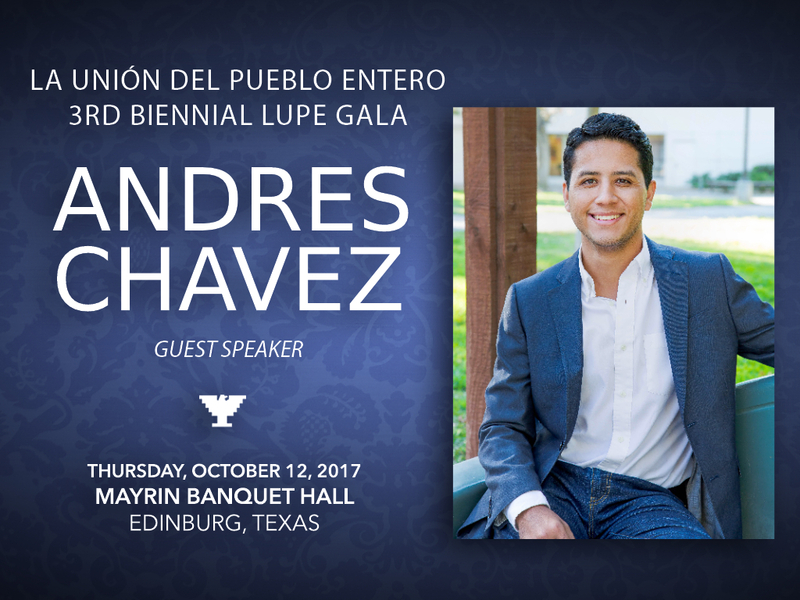 Andres recently returned to the Cesar Chavez Foundation to assist with special projects. During his free time, he loves to barbecue, spend time with family and friends, and golf.